I’m thrilled to be participating in 5 Minutes for Mom’s Ultimate Blog Party for the first time! I’m Mariana. I’m a 28-year old mom to two beautiful little girls. You’re sure to see photos of them in almost every one of my posts. But that’s the beauty of it! Life is never boring. I originally started blogging as an outlet to vent my frustrations, connect with others like me, and keep a record of my girls’ milestones, but this has turned in to SO much more! I’ve met some amazing people, developed lifelong friendships, and have had wonderful opportunities come my way. I’m coming up on my one-year blogoversary, which I’m so excited about. My husband never thought that this hobby would last more than a few months, so that shows him! Hopefully you’ve enjoyed it here and will stop by again. I’m on a mission to get Hot by BlogHer and would love some support! Have you seen how many people are getting their party on this year?! I’ve looked at the list, and some are old friends that I hope to get to know better, and others are strangers that I can’t wait to visit. I love your blog. Good luck with getting hot for blogher. I’m hoping to start my walking/running back soon. Oh and Congrats on you upcoming blogaversary. Happy UBP! Your kids are adorable. Lie is definitely like riding a bike with no hands! Jens last blog post..Ultimate Blog Party!! Nice to meet you. You have beautiful little girls 🙂 I love the name of your blog and how you explained it…SO true!!! Erins last blog post..Ultimate Blog Party ‘09 coming at you…the longest, most rambling, post ever!!! I love the name of your blog and the header is great! Have fun at the blog party. What a wonderful introduction. So nice to meet you. 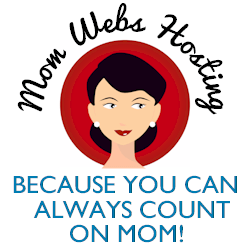 I’d love to invite you to swing by my site, The IE Mommy, to read my UBP post. Your little girls are so cute…it’s wonderful that they love to read. My girls do too! I love your corner of the world here! So warm and inviting and I must come back. You have a treasure here. Thanks for partying with us. I’m party hopping! Hope to see you at my party! What a great simile. Riding with no hands. Thanks for introducing yourself. Happy blog party! Hi there! Nice to meet you. I’m here from the UBP and I look forward to getting to know you more this week. Happy UBP 2009 to you! You have cute little girls! I love the title of your blog and your reason for it…cute! 🙂 Party on girlie! JamericanSpices last blog post..Come party with us! I love that pic! I hope you are enjoying the party. Hey! Great looking blog. I am glad to “meet” you! Nice to meet you, and your daughter is simply adorable!! I Love reading your blog, it’s so much fun. Party hopping and participating so stop in for a visit. Isn’t it fun when we prove our hubby’s wrong (1 year of blogging)… I mean I don’t gloat or anything. But it makes me happy on the inside! well, you showed him!! My husband always thinks the same way as I am always flitting from thing to thing. Sorry I missed everyone on these days for UBP. I have been down with bronchitis but I figured better late than never. BTW I love your logo!